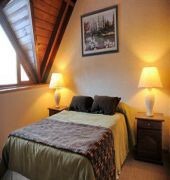 This apartment hotel at the base of Cerro Catedral Ski Center is a space designed for the entire family. 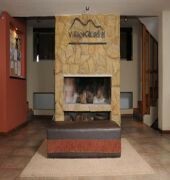 It offers a total of 28 units and has the best facilities situated within an incredible environment, and offers services such as a 24-hour reception and check-out service, a club house for children, telephones, wireless Internet access, car parking, room service, currency exchange facilities and a restaurant.The hotel has fully equipped and furnished units which come with a kitchen, cable TV, Internet access, a safe, hairdryer, mini fridge, central heating and all the basic services. The en suite bathroom has a shower and bath. 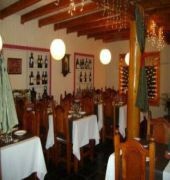 The apartments also have double beds and a direct dial telephone.This apartment hotel is located at the base of Cerro, in the area of Catedral Village, a small mountain town that offers all kinds of services including restaurants, nightclubs and shops. 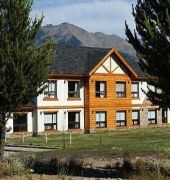 The hotel is only 15 minutes from central Bariloche.